Do you have any dresses that you wish were a little bit longer? Or maybe you'd like a way to add a little fun and flair to your skirts? Well, my sister came across a great way to pull off both of those things and I DIYed it up... in exchange for painting a set of around the world ornaments for me. And let me tell you guys, I got the better end of that deal. 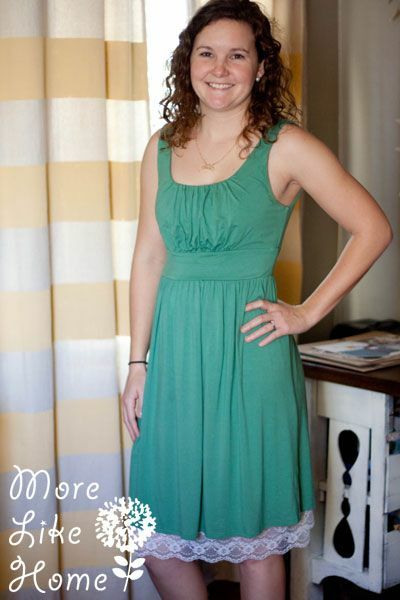 This skirt extender is so fast and so easy, I knocked it out in about 15 minutes. She may have been on the second ornament by then. Thanks sister! Not only was is it easy, it was cheap, too! She had an extra slip already so we just had to buy the lace for the bottom. 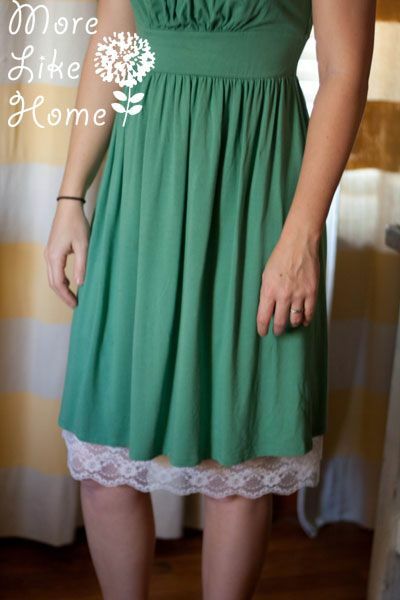 It adds a pretty detail and decent amount of length to a skirt that may be a bit short. I especially liked how it looked under the softer, flowy dresses. They looked so pretty with a little lace detail around the bottom. So, want to make your own? 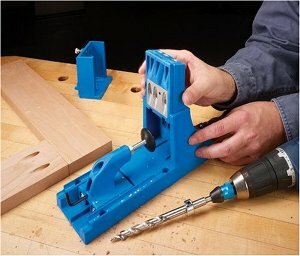 Start by measuring around the bottom of your slip. 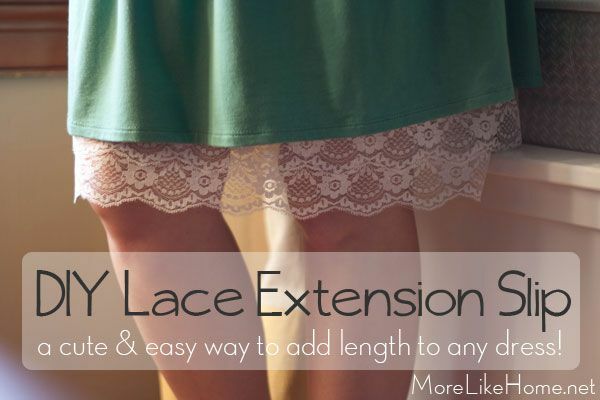 Add 1" for seams and cut a piece of lace that long. Cut a second piece the same length. 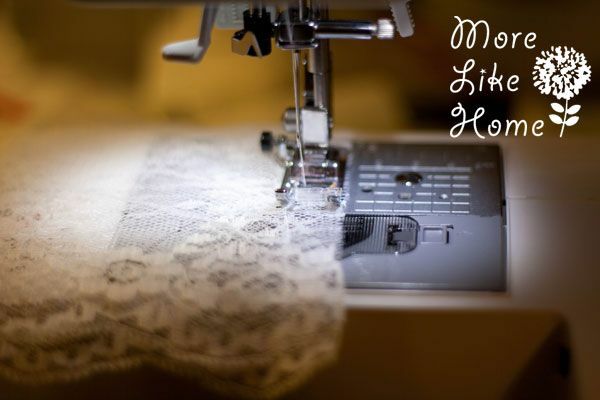 Fold the first piece in half (with right sides together if your lace has a right side) and line up the cut ends. Sew along the end with a 1/2" seam allowance. 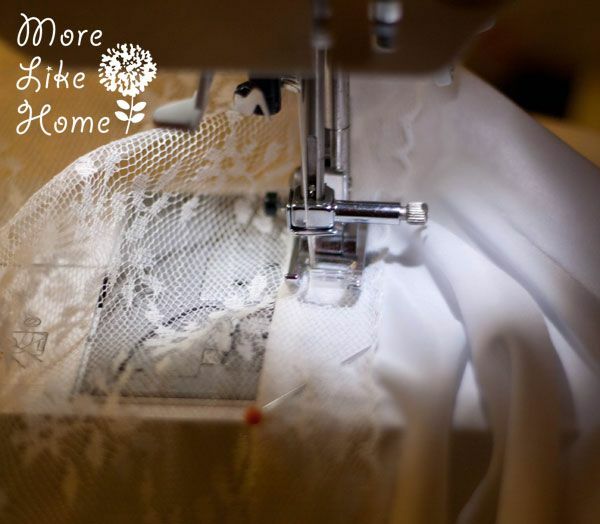 This will make the lace into a large loop that you will attach around the base of the slip. Repeat for the second piece of lace. 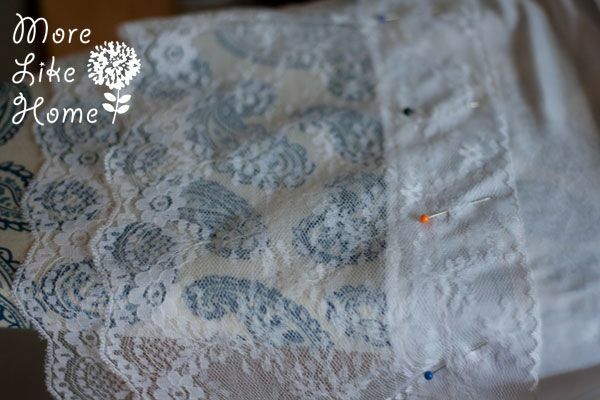 With the slip right-side out, pin the first piece of lace around the bottom edge of the slip (on the outside of the slip, so it doesn't feel scratchy on your legs). I overlapped the lace about 1" over the bottom edge of the skirt (see the pic below). 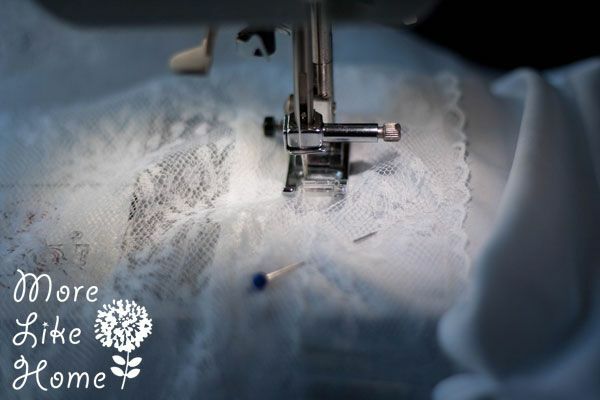 Sew along the bottom edge of the skirt to attach the lace, remembering to backstitch at the beginning and end. When I attached this piece I started by sewing near the bottom edge of the slip so I could catch the the top edge of the first piece of lace, just to reinforce it a bit. Then I stitched another line around the top edge of the lace. Then, as Big Brother likes to say, "Boom, baby!" You're done! 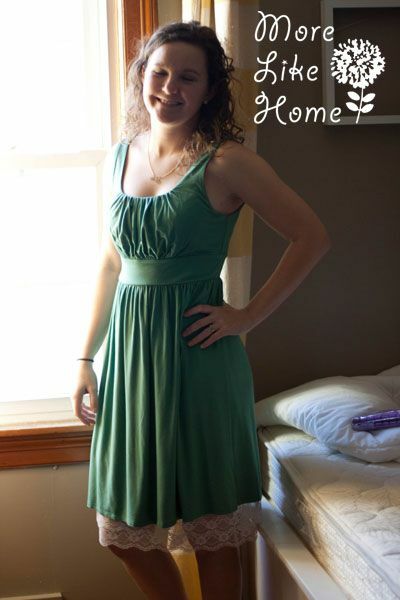 Grab your favorite dress and try it out! Like I said, we only had to buy the lace for this project and with a 40% off coupon it was only $2.40/yard. So we only spent $7.20 on it! And by "we" I mean "she." Just so we're clear. 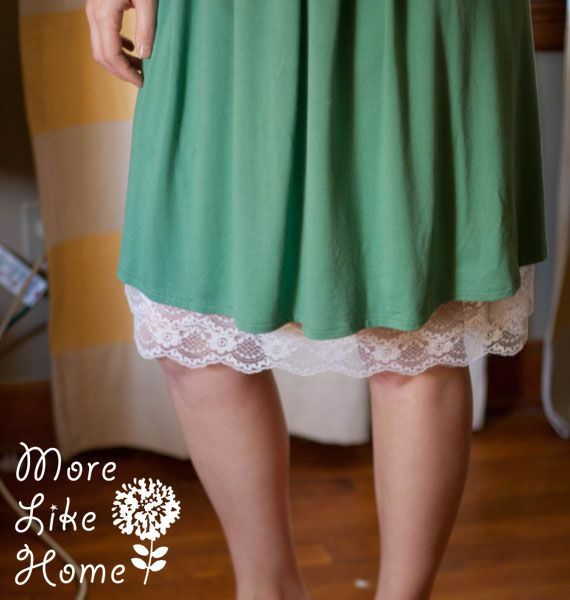 Lace isn't super cheap, but a similar slip costs $25-35 on Etsy so we still saved quite a bit! I also had an idea that if you have a certain skirt that need an extension, you could also add the lace right to the bottom of the skirt. Not as versatile as a slip, but if less hassle if it's something you wear a lot! 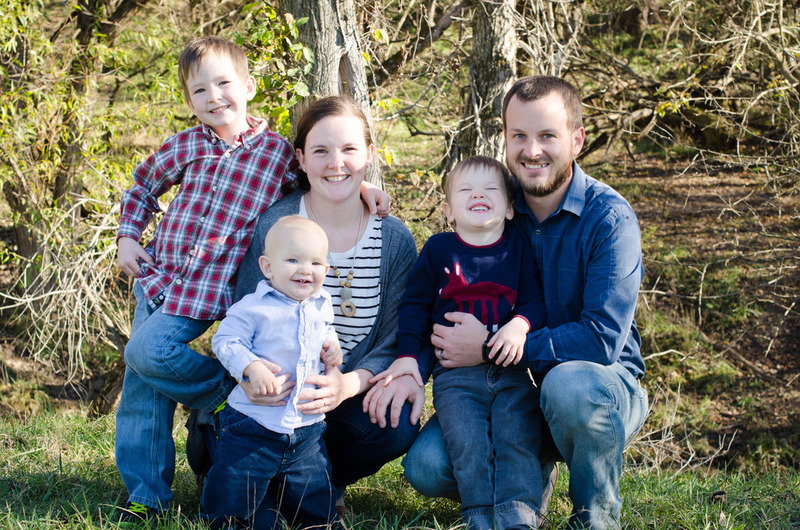 Now let's talk about why most of these pictures are so terrible. I seriously could not figure out the lighting/angles for this. So just know it looks even better in person. Also a certain sister kept closing her eyes. On purpose. As if I wasn't struggling enough already. Add that to bad angles weird lighting and it was all kinds of hot mess in here. Now you may be asking yourself "why didn't she just put the dress on herself and have her photographer sister take the pictures?" My question would be "Um, hello sister? WHY DIDN'T YOU THINK OF THAT?" But you at least get the idea, right? 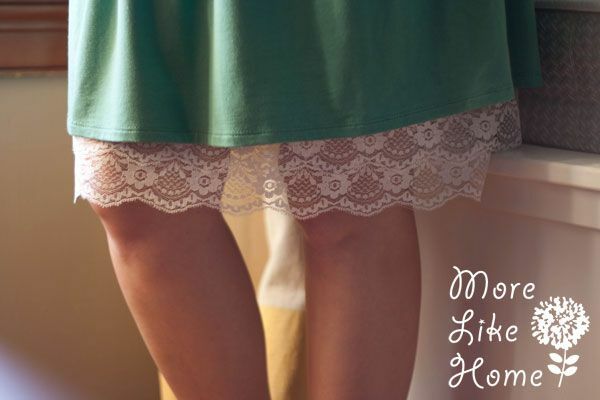 It's a really fun way to mix up your wardrobe, and you could even make a few with different styles and colors of lace.